12 Days of Christmas – 12 days of deals! Home / Blog / 12 Days of Christmas – 12 days of deals! For the 12 retail days leading up to Christmas … we have a SPECIAL deal for you each and every day! Follow us on facebook and instagram to find out what those deals are. 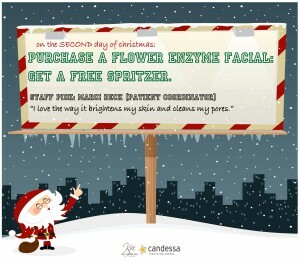 3rd Day of Christmas Special Offer!